A fairly common scenario that you will encounter is that the potential client already has a contract with another IT provider. However, it is still a good idea to find out the duration of the contract and if they are happy with the IT services. Learning about any particular complaints can help you develop a plan for the future that focuses on improving their IT services and giving them a valuable opportunity that is too good for them to pass up. Many companies still use a break-fix model for IT services even though it is highly inefficient. If a potential contact uses this particular model, it is important to ask them about the last time they received a complete network health assessment. Asking questions, such as “How often do they meet with their IT provider?” or “Do they have a disaster recovery plan in place?”, can give you an idea regarding their relationship with an IT provider. Detailing the advantages of a full-time IT provider can help them realize that the use of your IT services is much more beneficial than the typical break-fix model. Typically, most businesses have an in-house IT team if they do not use the services of an IT provider. However, an effective MSP marketing technique is to ask them about any upcoming projects that will require additional IT support. Detailing the many ways that your IT services can save their business money while also increasing efficiency is an excellent way to distinguish yourself from any in-house IT teams. You can also explain that using your IT services can help the in-house IT team to focus on other projects, while your IT specialists handle the day-to-day operations. 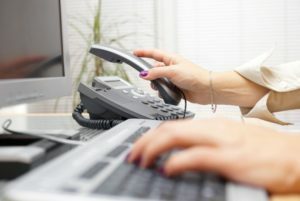 Continually practicing the art of cold calling prospects is a useful MSP marketing technique that can significantly increase your consumer base. Understanding how to respond to these various scenarios can help your IT business overcome any obstacles. Over time, you will learn the art of cold calling and become much more comfortable with pitching your IT services to a new client. Don’t delay any longer, begin using these cold calling techniques today; it is a cost-effective solution that will help your business generate new leads and sustain long-term success.